Let’s Print the memories you want to keep!! Check out Rachel’s Experience! She sent me her wall to see how the 16x20 canvas we initially we’re going to order would look—TOO SMALL!! So we upgraded the size and added 2 complimenting canvases with photos from her session. The process for creating your custom wall is so simple! Even more special, when I am planning and shooting your session, I'm thinking about what the final product and style will look like on your wall. 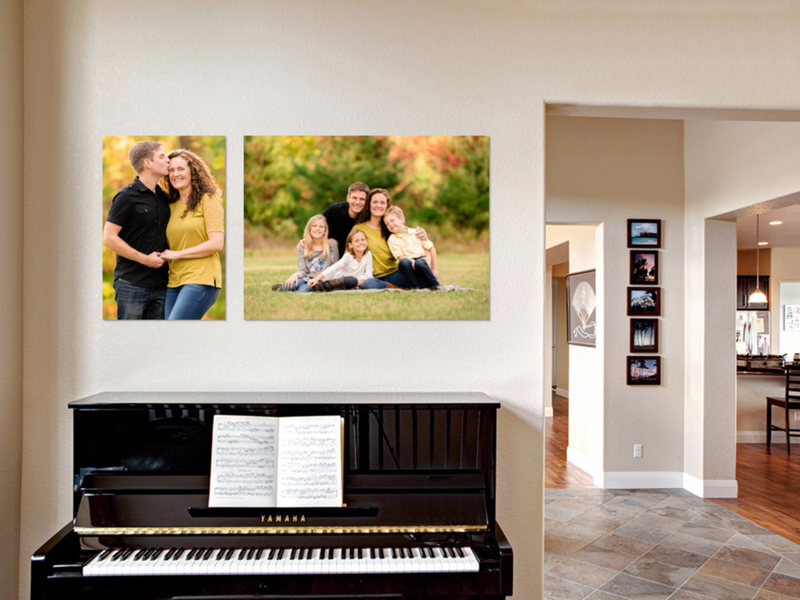 Why not pre plan a wall gallery prior to your session?? I strive for timeless and authentic, so you'll still be thrilled to display your photos even years from now. Contact me so we can start planning your session and your own customized wall art gallery.